The Retail sector remains one of the most dynamic urban markets with changes almost on a daily basis. Changes in South African society, especially during the past 4 years, also impact on the retail market, making it one of the most exciting fields to invest in. 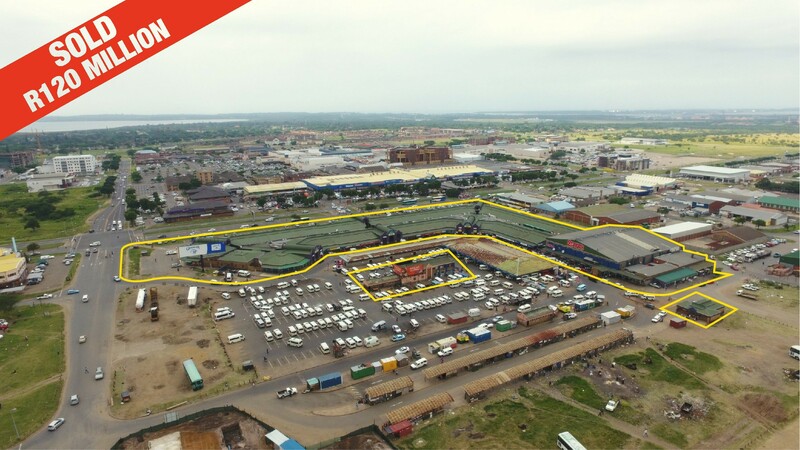 This is just one of the reasons according to auctioneer Andrew Miller of In2Assets, why the Richards Bay Taxi City shopping centre is a choice attraction when it comes up for auction on 25 May. This landmark shopping centre is situated at the major taxi junction in Richards Bay in Bullion Boulevard and is under pinned by strong national tenants including Boxer Cash & Carry as the anchor, KFC, Doves, Pep Stores, Price & Pride and Tansat Africa to name but a few. With over 60 shops in total boasting an annual rental income of approximately R20 million, this vibrant corner site spanning a gross lettable area of 13,400m², is a hive of activity and is the gateway to the Richards Bay CBD. Adds Andrew Miller, “The auction of this very popular centre will offer investors looking for value beyond metropolitan areas a great opportunity. Strong national tenants and location are prerequisite variables for major property buyers when looking at busy outlying towns and the Richards Bay Taxi City centre is just the type of property which ticks all of these boxes”.